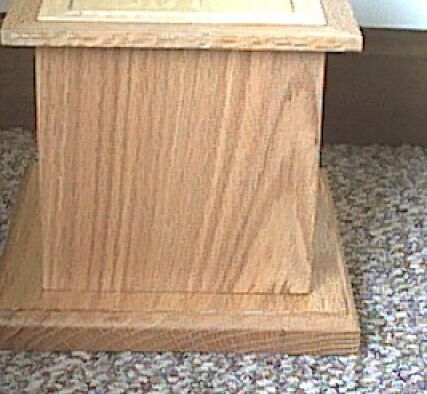 This style is currently offered in your choice of oak, (pictured above), cherry, walnut or mahogany (See photos below). 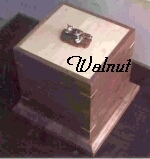 If no chip carving is desired, basswood would not be inlaid in the top. The wood is finished natural. It is not stained. See "info" page for details. 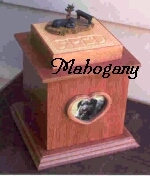 My chip-carving is done on basswood, so when more than one surface is to be carved, urn is made entirely from basswood. This is one variation of the style currently offered when more than one side is to be carved. 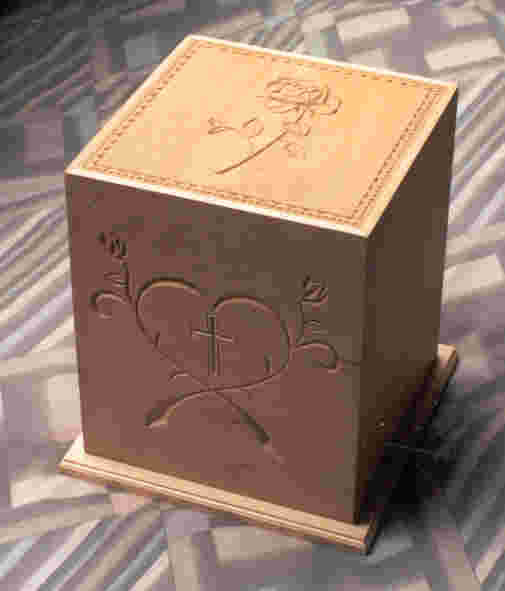 The urn pictured above is a human urn for someone named Rose who wanted roses carved on two sides.